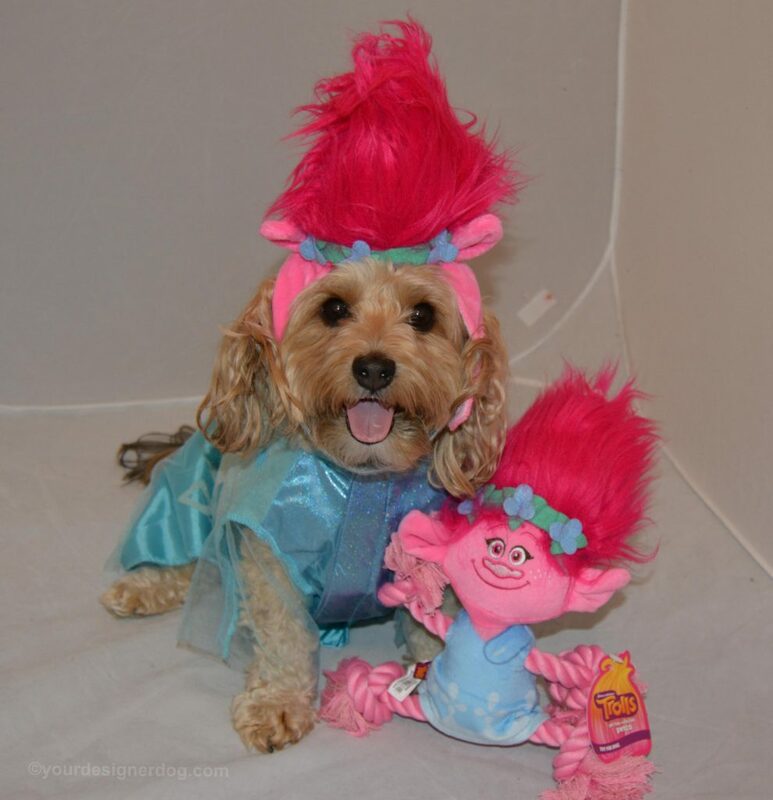 Sadie is very excited that the new movie Trolls is coming out soon! I’ve told Sadie all about the collection of troll dolls I had as a child and she was very intrigued. I had trolls in every shape, size, and color imaginable. If I remember correctly, the highlights of my collection included a troll with pink hair that stood almost three feet tall and a troll that sparkled with my birthstone in its bellybutton. I even collected the somewhat ugly looking traditional trolls from Norway. 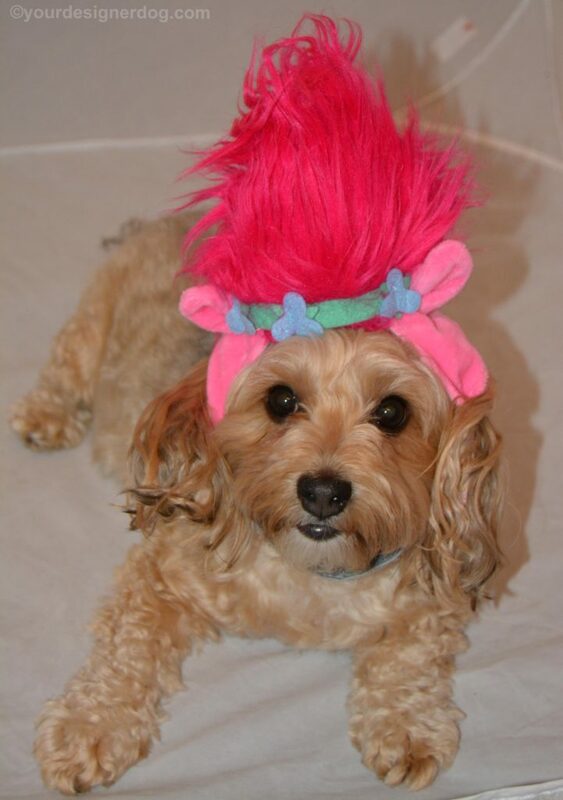 So you can understand why I was pretty excited when I went to Petco and discovered that I could buy Sadie her very own troll, made especially for dogs. 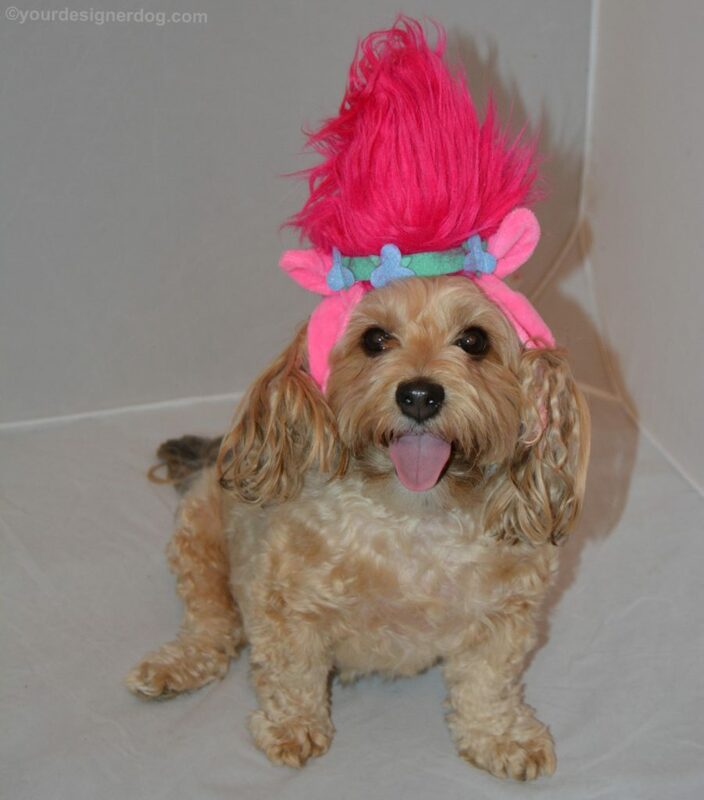 Sadie absolutely loves Poppy, her new pink troll! Although I don’t allow unsupervised playtime because I don’t want the pink hair to become a doggie snack, Sadie knows right where her troll is kept and every day she jumps up and down asking me to get it for her. 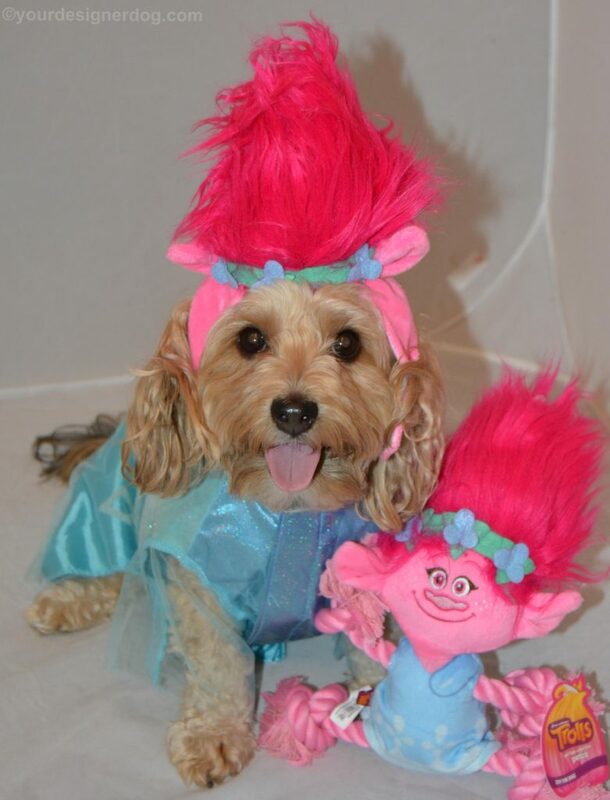 Sadie as an old school troll! 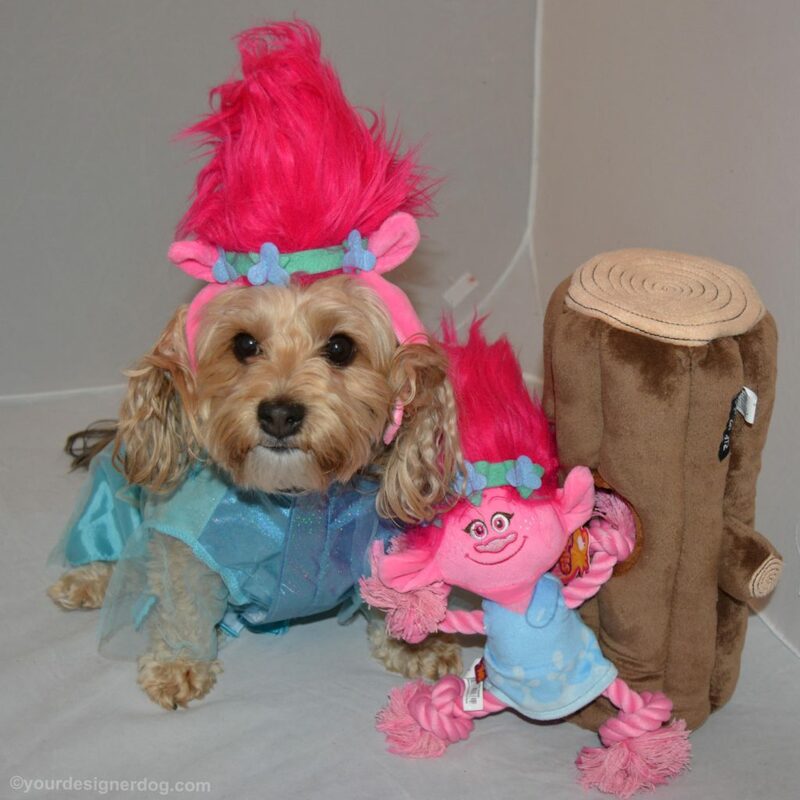 Sadie as Poppy from the Trolls movie! This post is not sponsored or endorsed by DreamWorks, Petco, or Trolls in any way. All opinions are my own. LOL! Sadie makes a perfectly cute troll. Oh Sadie you look so pretty!! So sweet of Ma to buy you a Troll Dolly. I had lots of them too, but not as fancy as your Ma had. We called them Wishnicks, I’m not sure why. So cute! I also had troll dolls as a kid. They were hard to cuddle with (plastic doesn’t bend! ), but I loved them anyway. I might have to pick up some troll swag and recreate those memories! Love it! 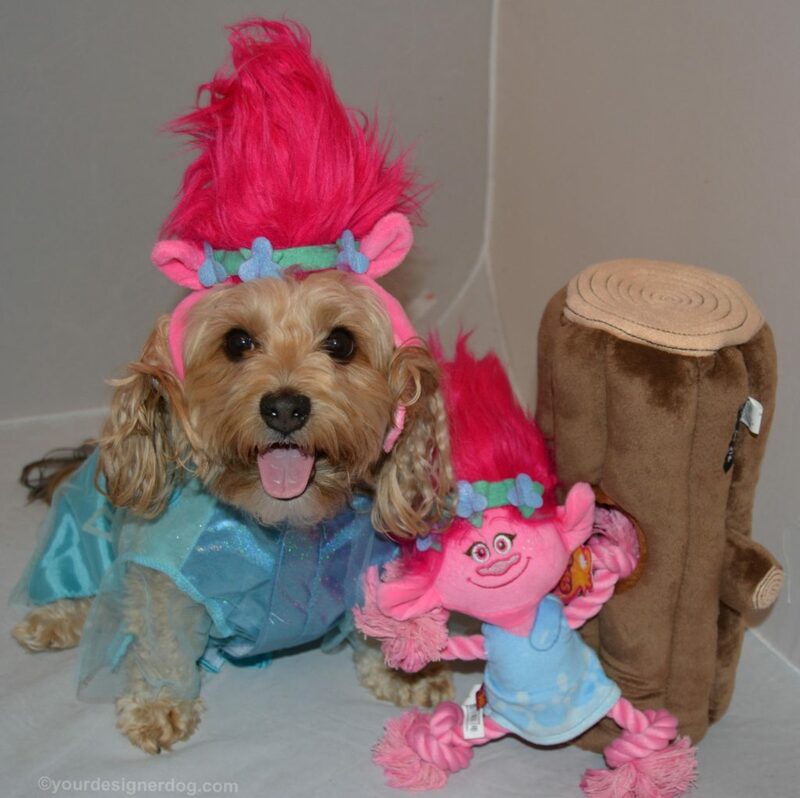 Cutest troll I ever did see!